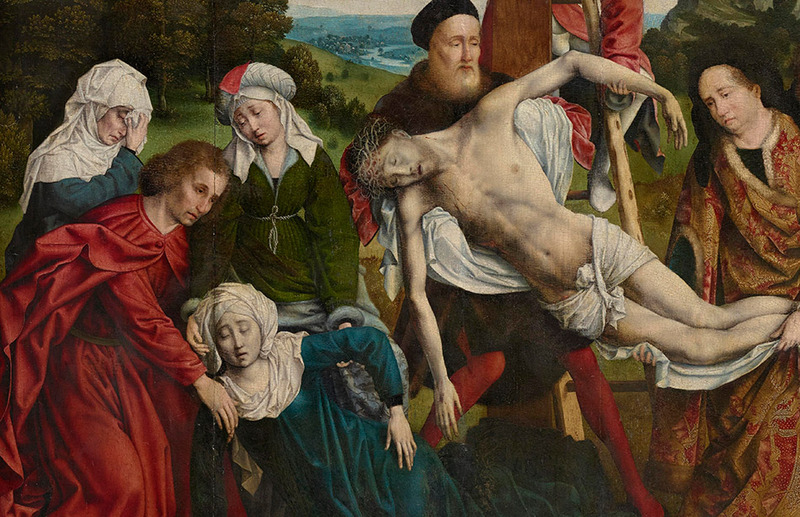 DETAIL: The Descent from the Cross, c. 1518-1520. Joos van Cleve, Netherlandish (active Antwerp and France), 1511- 1540/41. Oil on panel, 45 1/4 x 49 3/4 inches. Philadelphia Museum of Art, John G. Johnson Collection, 1917. A major exhibition focusing on one of the finest collections of European art ever to have been formed in the United States by a private collector. The exhibition marks the centenary of the remarkable bequest of John Graver Johnson—a distinguished corporate lawyer of his day and one of its most adventurous art collectors—to the city of Philadelphia in 1917. 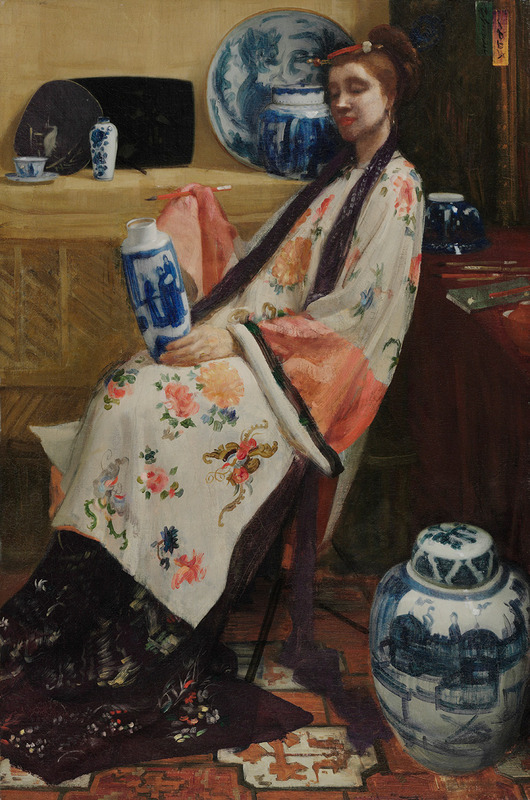 The exhibition includes important seventeenth-century Dutch paintings by Rembrandt, Jan Steen, Bosch, and others; masterpieces by key figures of the Renaissance such as Botticelli, and Titian; and works by American and French masters of Johnson’s own time, most notably Winslow Homer, John Singer Sargent, and Édouard Manet and Claude Monet. Saint Francis of Assisi Receiving the Stigmata, 1430-1432. Jan van Eyck, Netherlandish (active Bruges), c. 1395 – 1441. Oil on vellum on panel, 5×5 3/4 inches. Philadelphia Museum of Art, John G. Johnson Collection, 1917. The Crucifixion, c. 1460. 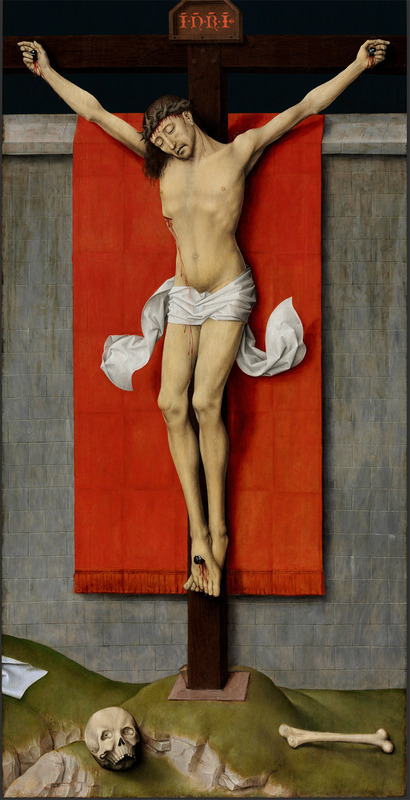 Rogier van der Weyden, Netherlandish (active Tournai and Brussels), 1399/1400 – 1464. Oil on panel, 71 x 36 7/16 inches. Philadelphia Museum of Art, John G. Johnson Collection, 1917. 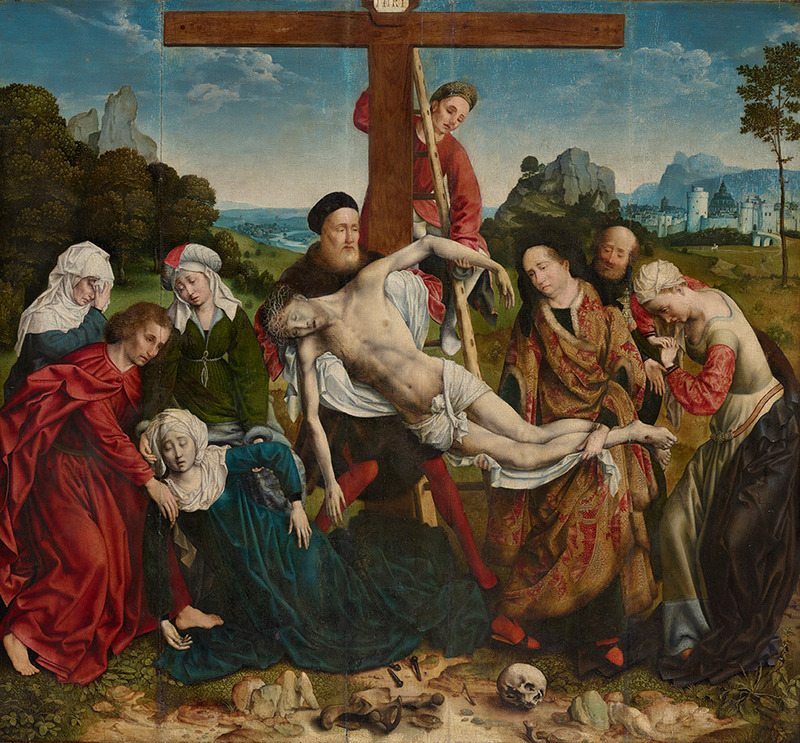 The Descent from the Cross, c. 1518-1520. Joos van Cleve, Netherlandish (active Antwerp and France), 1511- 1540/41. Oil on panel, 45 1/4 x 49 3/4 inches. Philadelphia Museum of Art, John G. Johnson Collection, 1917. 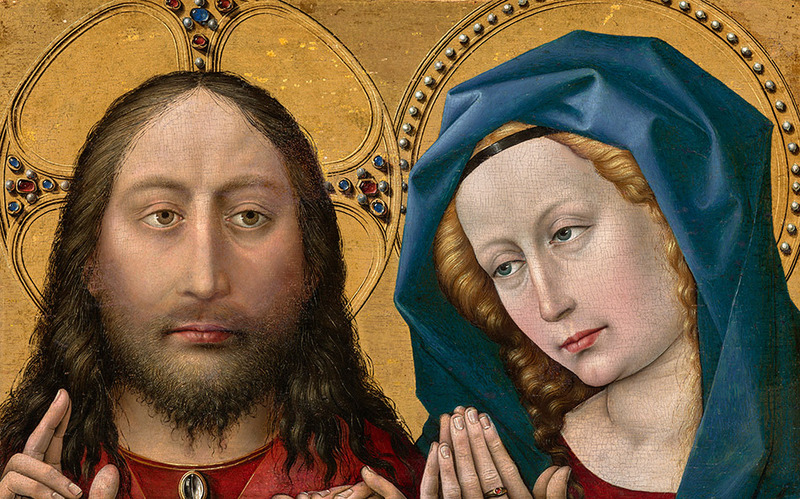 Christ and the Virgin, c. 1430-1435. 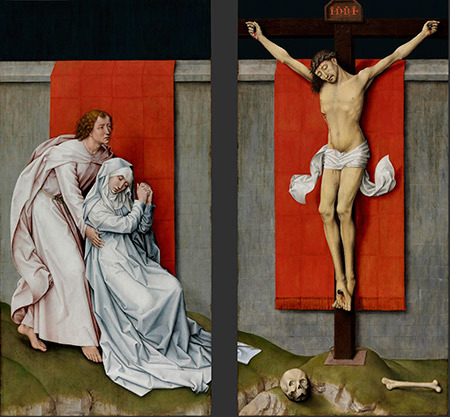 Robert Campin, also called the Master of Flemalle, Netherlandish (active Tournai), first documented 1406, died 1444. Oil and gold on panel, 11 1/4×17 15/16 inches. Philadelphia Museum of Art, John G. Johnson Collection, 1917. 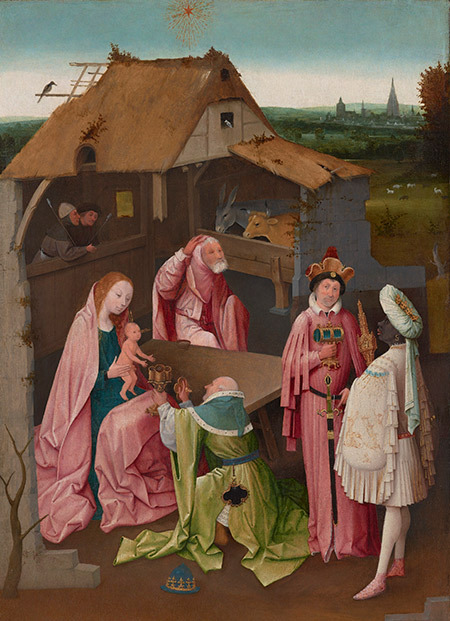 The Adoration of the Magi, Early 16th century. Hieronymus Bosch, Netherlandish (active Hertogenbosch), c.1450 – 1516. Oil on panel, 30 1/2 x 22 inches. Philadelphia Museum of Art, John G. Johnson Collection, 1917. The exhibition will explore a host of fascinating questions ranging from attribution to authenticity and illuminate the detective work and problem-solving skills that are brought to bear when specialists reevaluate the original meaning and intent of works created centuries ago. Head of Christ, c. 1648-1656. Rembrandt Harmensz. van Rijn, Dutch (active Leiden and Amsterdam), 1606 – 1669. Oil on oak panel, laid into larger oak panel, 14 1/8 x 12 5/16 inches. Framed: 28 1/4 x 23 x 2 inches. Philadelphia Museum of Art, John G. Johnson Collection, 1917. 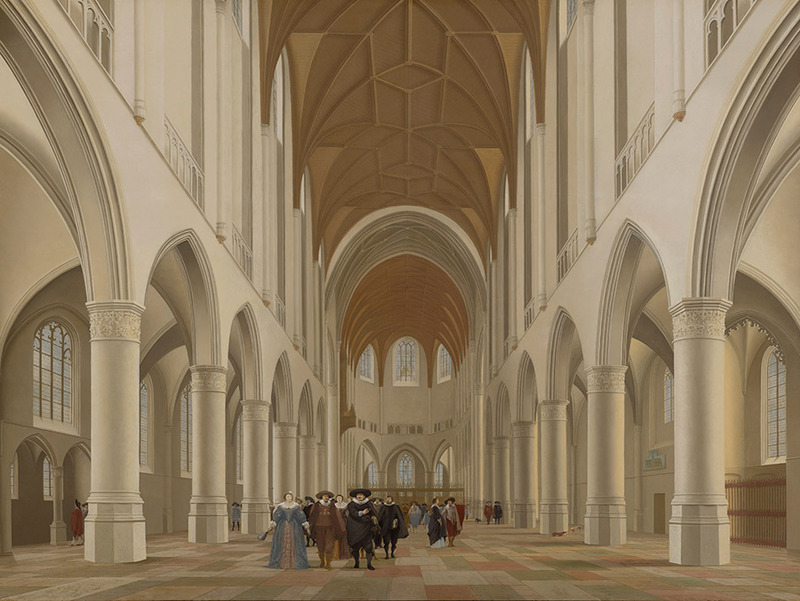 Interior of Saint Bavo, Haarlem, 1631. Pieter Jansz Saenredam, Dutch (active Haarlem and Utrecht), 1597 – 1665. Oil on panel, 32 5/8 x 43 1/2 inches. Philadelphia Museum of Art, John G. Johnson Collection, 1917. 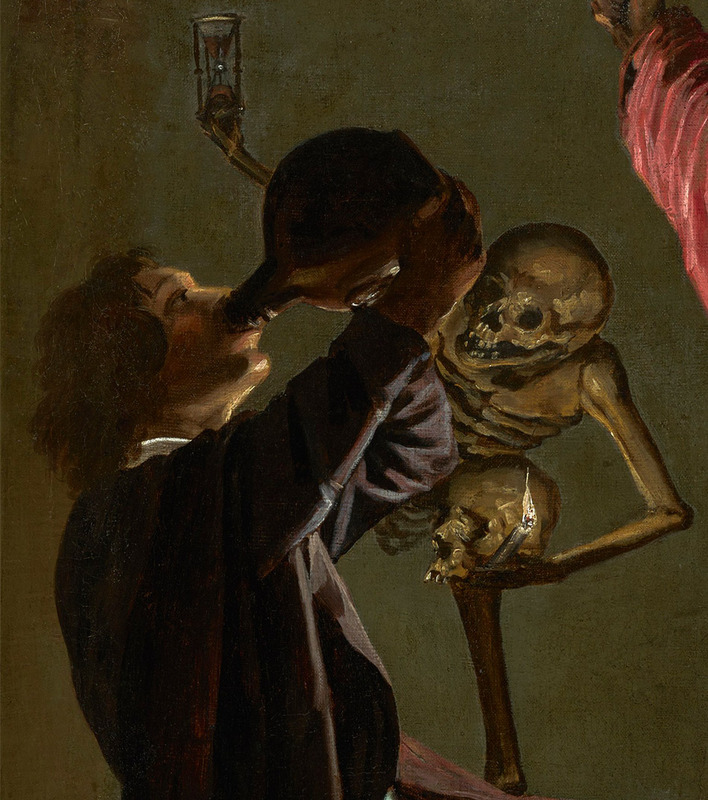 The Last Drop (The Gay Cavalier), c. 1639. Judith Leyster, Dutch (active Haarlem and Amsterdam), 1609 – 1660. Oil on canvas, 35 1/16 x 28 15/16 inches. Philadelphia Museum of Art, John G. Johnson Collection, 1917. The exhibition also explores those areas of European painting in which Johnson focused in depth. The number of Dutch paintings he acquired was among the largest of his day, and is especially rich in landscapes by Jacob van Ruisdael and animated genre scenes by Jan Steen. 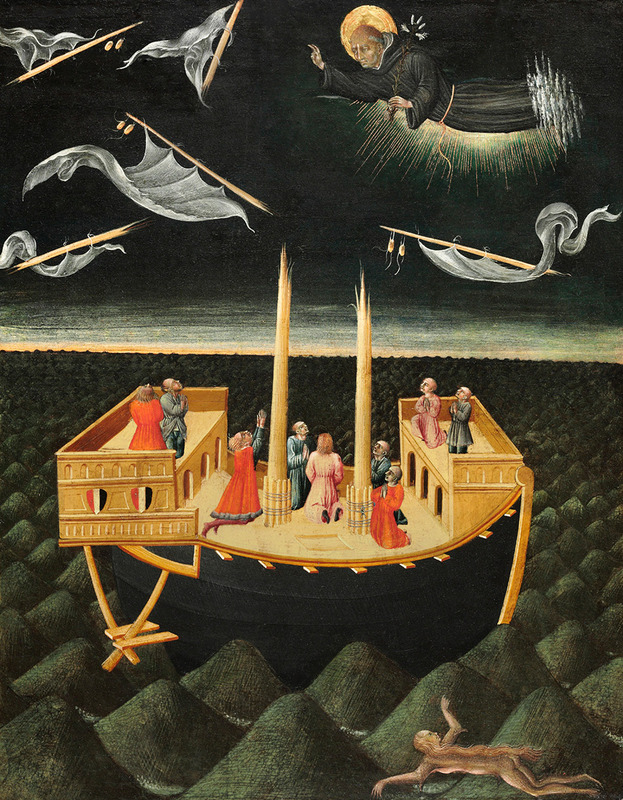 Saint Nicholas of Tolentino Saving a Shipwreck, 1457. Giovanni di Paolo (Giovanni di Paolo di Grazia), Italian (active Siena), first documented 1417, died 1482. Tempera and gold on panel with vertical grain, 20 1/2 x 16 5/8 inches. Philadelphia Museum of Art, John G. Johnson Collection, 1917. Portrait of a Young Gentleman, 1474. 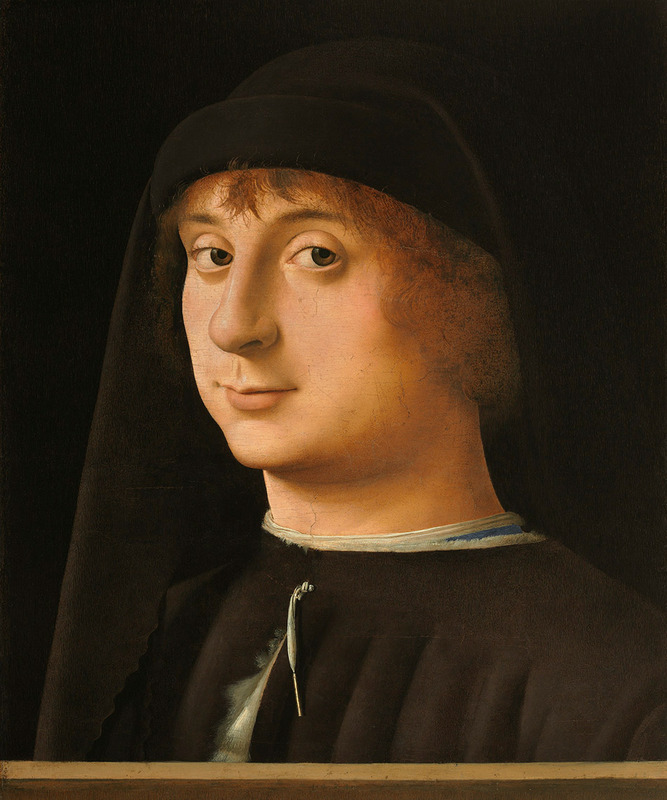 Antonello da Messina (Antonello di Giovanni di Michele de Antonio), Italian (active Messina, Naples, and Venice) 1456 – 1479. Oil on panel, 12 5/8 x 10 11/16 inches. Philadelphia Museum of Art, John G. Johnson Collection, 1917. 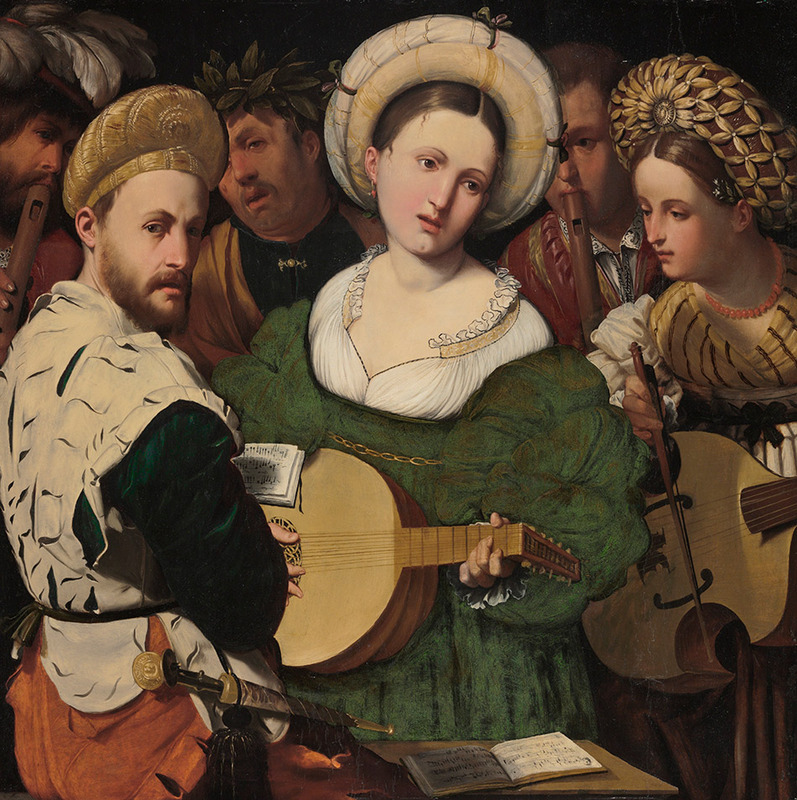 Musical Group, 1520s. Callisto Piazza (Calisto de la Piaza da Lodi), Italian (active Lodi and Brescia), c. 1500 – 1561/62. Oil on panel, 35 5/8 x 35 3/4 inches. Philadelphia Museum of Art, John G. Johnson Collection, 1917. 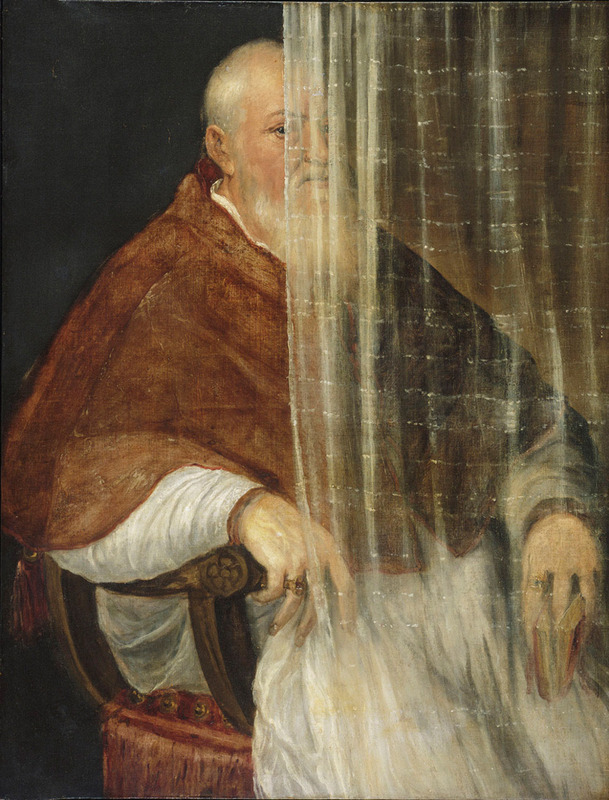 Portrait of Archbishop Filippo Archinto, 1558. Titian (Tiziano Vecellio), Italian (active Venice), first securely documented 1508, died 1576. Oil on canvas, 45 3/16 x 34 15/16 inches. Framed: 58 3/4 x 48 1/4 x 5 inches. Philadelphia Museum of Art, John G. Johnson Collection, 1917. It highlights: Claude Monet, Édouard Manet, James Abbott McNeill Whistler, and major paintings by John Constable, Gustave Courbet, Edgar Degas, Winslow Homer, Camille Pissarro, Eduard Charlemont, and a marble by Auguste Rodin. 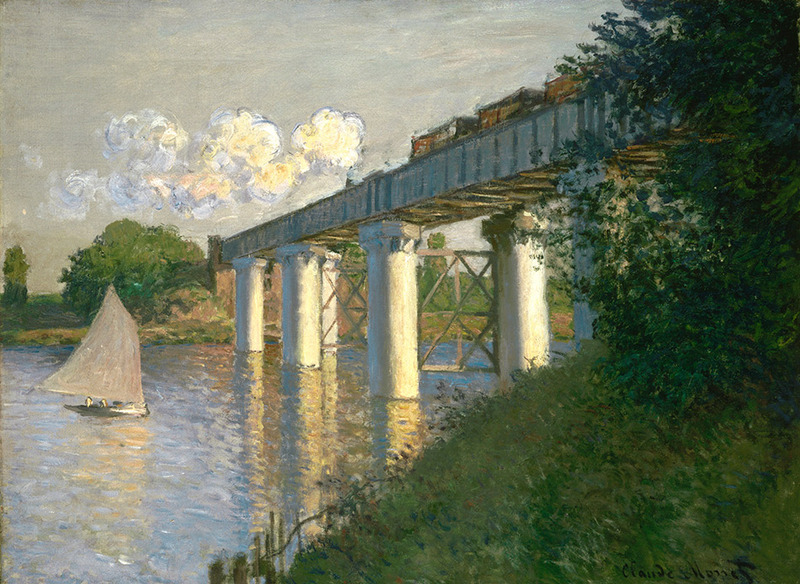 Railroad Bridge, Argenteuil, 1874. Claude Monet, French, 1840 – 1926. Oil on canvas, 21 3/8 x 28 7/8 inches. Philadelphia Museum of Art, John G. Johnson Collection, 1917. Marine, 1866. 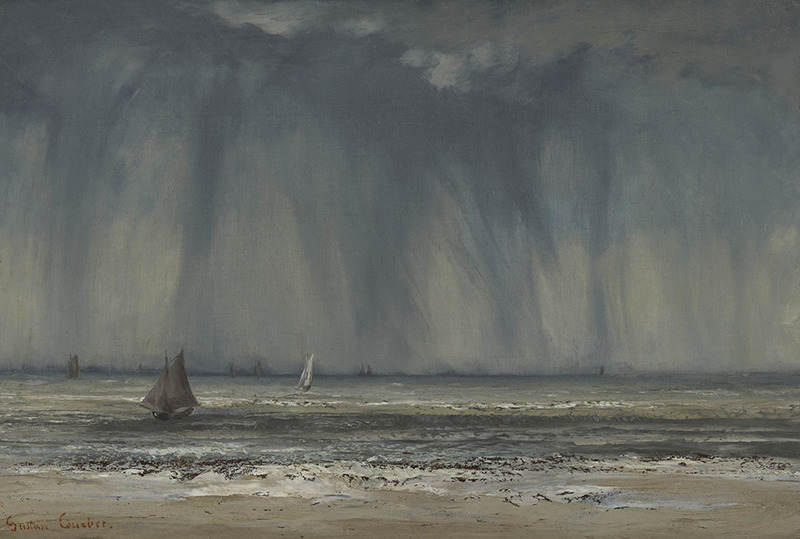 Gustave Courbet, French, 1819 – 1877. Oil on canvas on gypsum board. Philadelphia Museum of Art, John G. Johnson Collection, 1917. 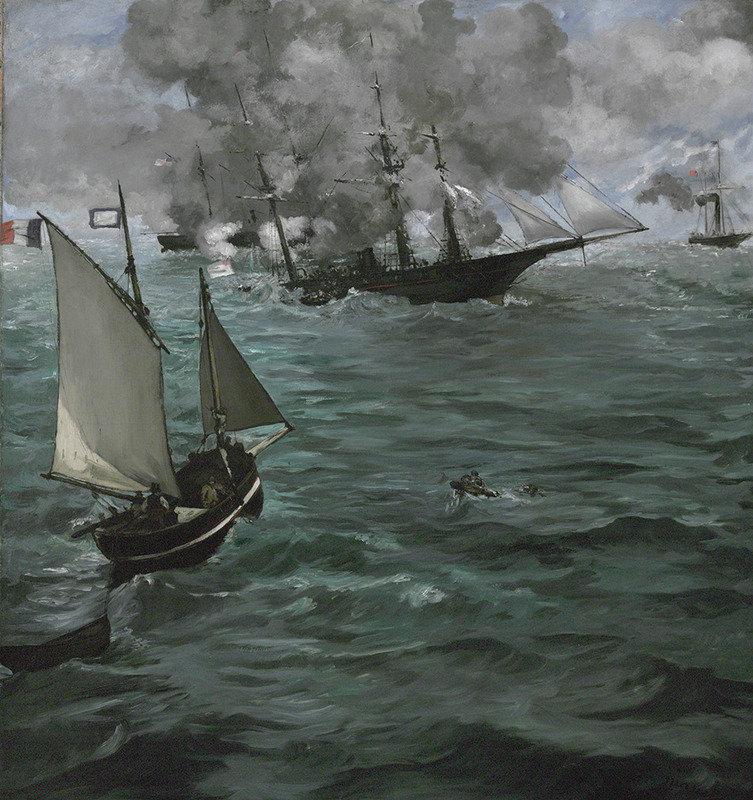 The Battle of the U.S.S. “Kearsarge” and the C.S.S. “Alabama”, 1864. Èdouard Manet, French, 1832 – 1883. Oil on canvas, 54 1/4 x 50 3/4 inches. Philadelphia Museum of Art, John G. Johnson Collection, 1917. Purple and Rose: The Lange Leizen of the Six Marks, 1864. James Abbott McNeill Whistler, American (active England), 1834 – 1903. Oil on canvas, 36 3/4 x 24 1/8 inches. Philadelphia Museum of Art, John G. Johnson Collection, 1917. 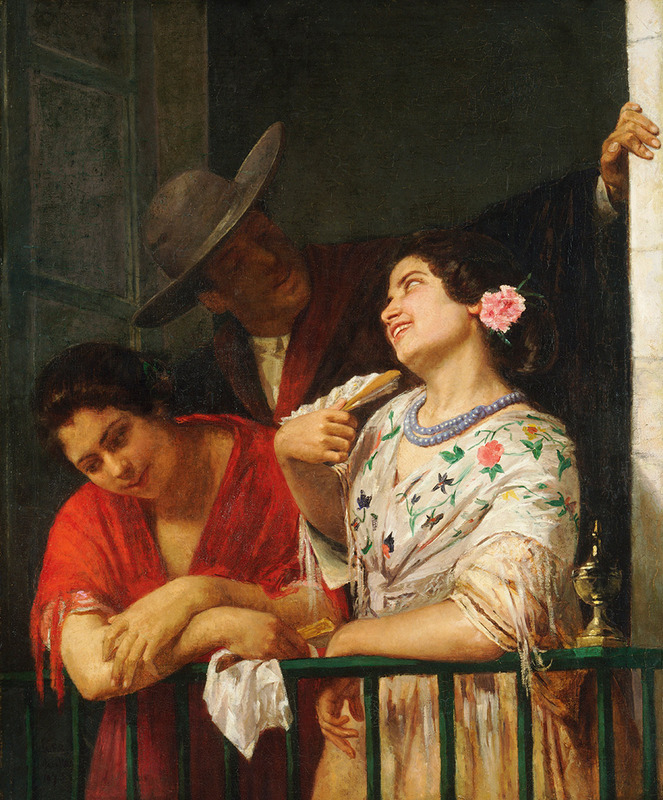 On the Balcony, 1873. Mary Stevenson Cassatt, American, 1844 – 1926. Oil on canvas, 39 3/4 x 32 1/2 inches. Philadelphia Museum of Art, Gift of John G. Johnson for the W. P. Wilstach Collection, 1906. 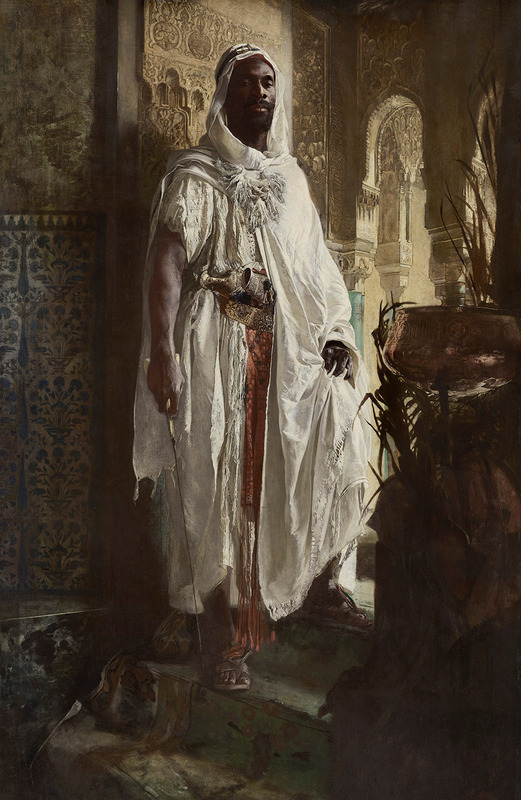 The Moorish Chief, 1878. Eduard Charlemont, Austrian, 1848 – 1906. Oil on panel, 59 1/8 x 38 1/2 inches. Philadelphia Museum of Art, John G. Johnson Collection, 1917. The exhibition open with a gallery dedicated to Johnson himself, providing a picture of one of Philadelphia’s most prominent leaders during the late nineteenth and early twentieth centuries. 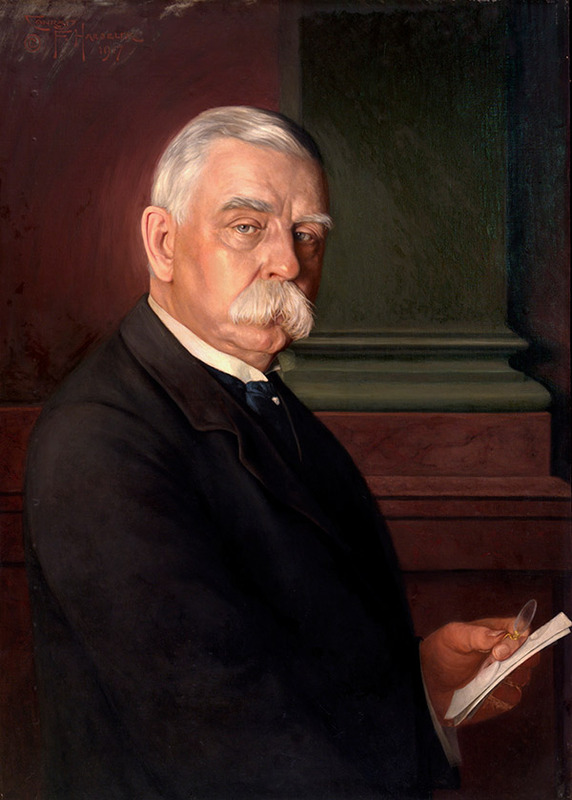 A timeline traces key moments in his colorful legal career, highlighting important cases and invitations he was reported to have received from President Garfield and President Cleveland to be nominated for a seat on the Supreme Court, and another from President McKinley to serve as his Attorney General, all of which Johnson declined. This section will also explore his decades-long formation an art collection, from his early acquisitions of contemporary art, such as Mary Cassatt’s On the Balcony, to paintings that he acquired the day before he died. Archival material, travel albums, and large-scale photographs of the interiors of Johnson’s houses at 426 and 506 South Broad Street will reveal the strikingly idiosyncratic way in which he displayed and lived with his collection. Portrait of John G. Johnson, 1917. By Conrad F. Haeseler, American, 1875 – 1962. Oil on panel, 34 x 24 inches. Philadelphia Museum of Art, Gift of Miss Julia W. Frick and Sidney W. Frick, 1971. The size of the collection is imposing. Having only joined the museum in 2012, I am still very much in the process of discovering its treasures. This task is made more difficult by the lack of a current catalogue of the early northern pictures. Peter Sutton produced a magisterial catalogue in 1990 of all the northern paintings in the museum’s permanent collection, excluding those in the Johnson Collection. The latter were catalogued early on, in 1913 and 1914, by Wilhelm Valentiner, who advised Johnson on his purchases. Barbara Sweeney updated his catalogue in 1972, and hers is an exercise in brevity. Readers find only dimensions, inscriptions, published references and provenance. Well, I should say that each picture has a section labeled ‘provenance’. Many entries identify the provenance as ‘unknown’, ‘completely unknown’ and ‘entirely unknown’, clarification as to what distinguishes an unknown provenance from entirely unknown one. And no discussions, interpretations or other forms of analysis are offered. As a result, the 1972 catalogue serves primarily as anillustrated checklist. Furthermore, it is pushing 50 years old at this point. Many attributions were updated for the concise catalogue of the European and American paintings in the museum’s collection that was published in 1994. However, that is merely an illustrated summary catalogue, and is itself over two decades old now. The museum can count eleven Boschian paintings among its holdings, all but one of them in the Johnson Collection. Unfortunately, the best of the lot, “The Adoration of the Magi”, is also the one in the poorest condition. In preparation for the exhibitions in the Noordbrabants Museum and the Museo del Prado marking the 500th anniversary of Bosch’s death, we have undertaken a full conservation treatment. After removing layers of discolored varnish and later campaigns of inpainting, the picture offers opportunities for fresh appraisals. Although not on show in Madrid, the Philadelphia’s great Rogier van der Weyden panels have also been the subject of recent exhibition-related research, this time for the monographic exhibition of the artist’s work in the Prado. 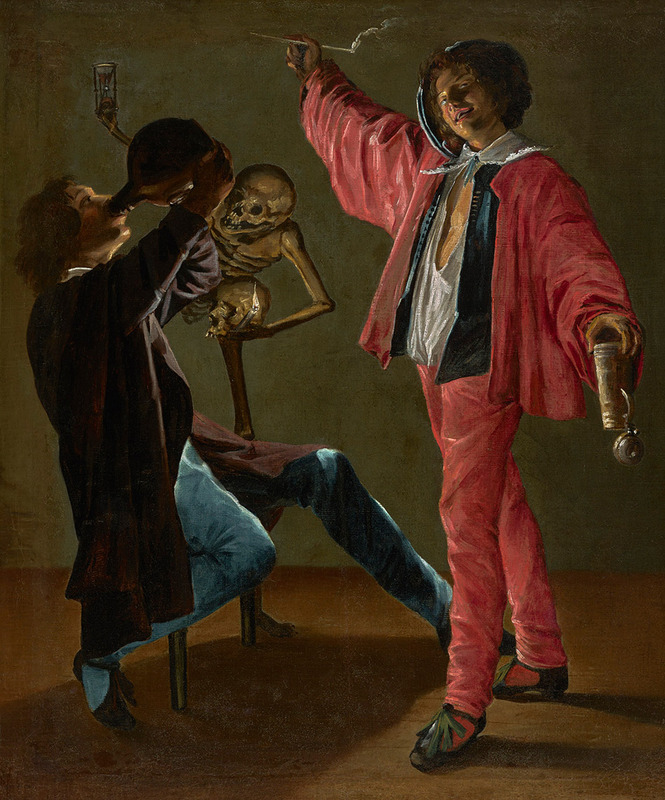 Mark Tucker, The Aronson Senior Conservator of Paintings and Vice-Chair of Conservation at the museum, and Griet Steyaert co-published a provocative essay on the panels and the ensemble of which they were a part in the most recent Boletín del Museo del Prado. This essay argues that the panels in Philadelphia originally formed part of the exterior of a carved altarpiece. It also presents the case for the identification of the reverse of the Philadelphia works. Steyaert identified paintings now in the Musée des Beaux-Arts, Dijon, and the National Gallery of Art, Washington D.C., as coming from the backs of the Philadelphia panels and thus being the far left and right panels of the open interior. In preparation for this essay, I happily studied not only our paintings but also the cited Example in Washington, together with Tucker and Steyaert. We reviewed the relevant images and IRRs of all manner of Rogierian panels together as well. As significant as their findings are as regards original function and context, they merely open the door to further research into the components of the proposed painted and sculpted ensemble. This past spring we completed a reinstallation of our gallery devoted to small-scale fifteenth-century early Netherlandish paintings. 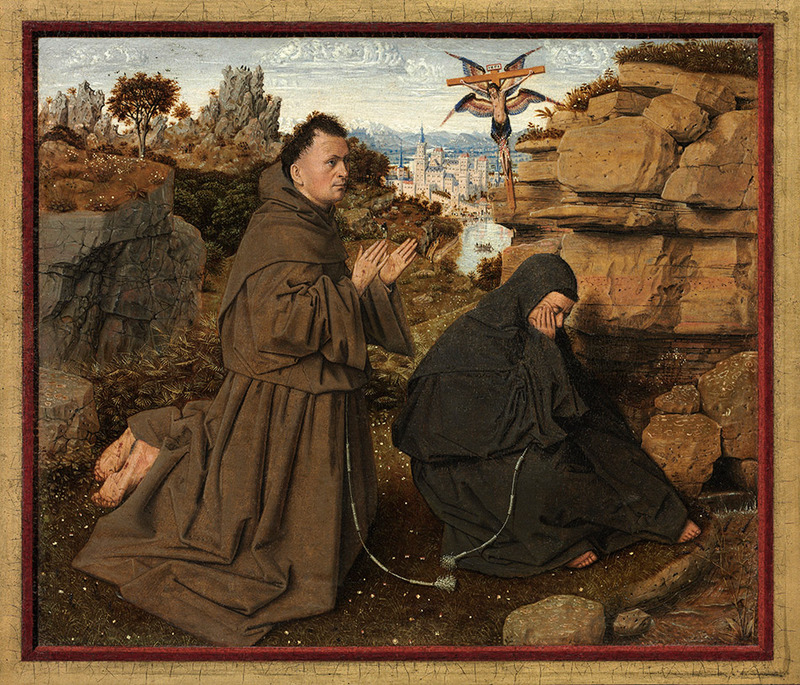 In the new presentation we use Jan van Eyck’s “St Francis Receiving the Stigmata” as a focal point and interpretive anchor. 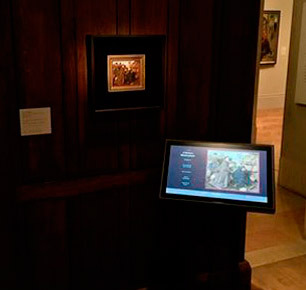 In so doing, thanks to an interpretation grant from the Kress Foundation, we built an interactive touchscreen that presents information on the subject, style and impact of the painting, as well a pinch and zoom feature that enables deep exploration of the picture’s minutely detailed surface. In total, the touchscreen enables us to present far more information than is possible on a label or dive card, while also allowing visitors to explore the subjects that interest them most. The topics and themes explored in the interactive are then continued in the labelling of other objects in the gallery, so that the entire installation coheres. Though the reinstallation and digital interactive have been geared primarily to general visitors, the project has reinvigorated our scholarly research into St Francis. We reexamined the publications issued on the occasion of 1997 exhibition that united the picture in Philadelphia with the version of the subject now in the Galeria Sabauda in Turin. As exhaustive as this study was, new questions have arisen. We very much hope to conduct new scientific examinations and documentations of the Philadelphia and Turin paintings together in the not too distant future. Likewise, I intend to investigate more deeply the support for the Philadelphia picture. Unlike the one in Turin, which was painted in oil on panel, it is in oil on vellum mounted on panel. 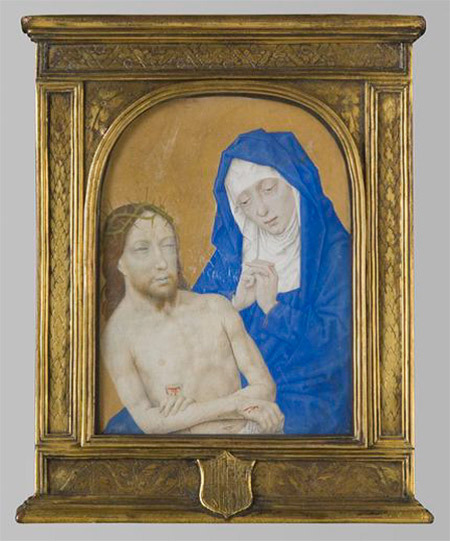 This is not a later mounting, as the panel has been shown to have been cut from the same tree as that of the two portraits by Van Eyck now in the Gemäldegalerie in Berlin. 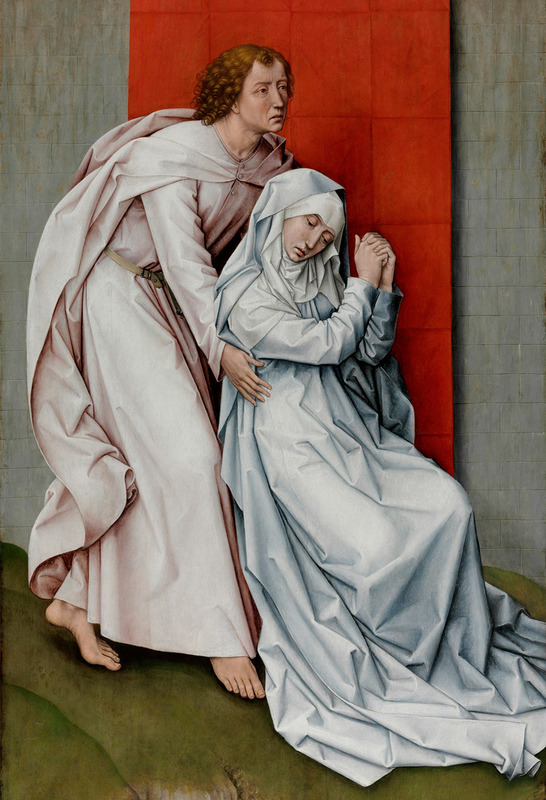 Indeed, preliminary research suggests that such painterly experimentation with oil and other paints on vellum mounted on panel explored the boundaries and intersections between panel paintings and illuminations and, further, that this medium was particularly vital during the first half of the fifteenth century in the Burgundian Netherlands. Indeed, the museum has a related picture by Simon Marmion that was painted in tempera on vellum mounted on panel. I very much look forward to investigating the techniques and motivations for this overlooked pictorial phenomenon. The storage depot of the museum’s collection of European paintings, including the Johnson Collection, contains many unsolved mysteries. 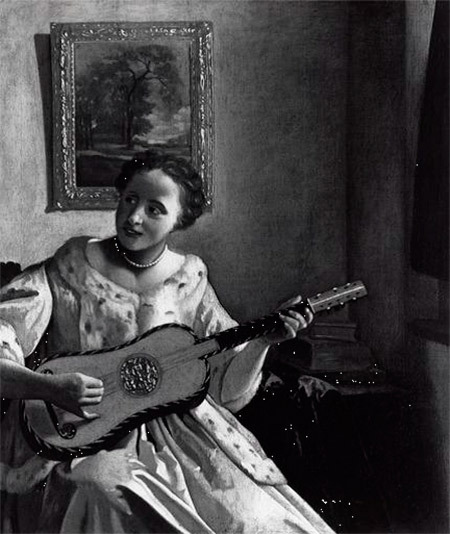 Among those that intrigue me the most is the “Lady with a Guitar”, which follows Vermeer’s painting in Kenwood House). The Philadelphia picture almost exactly reproduces the Kenwood one with the exception of the woman’s hairstyle. 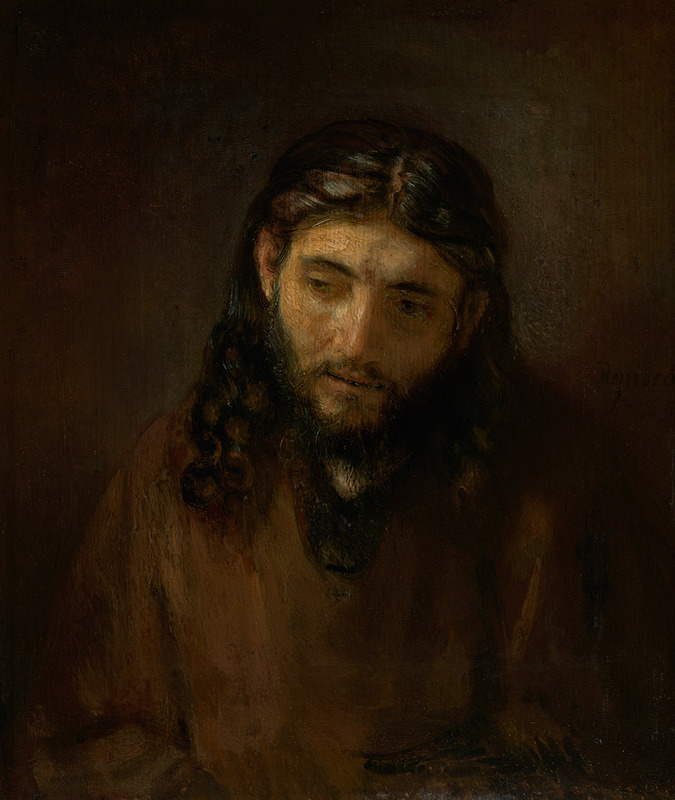 Johnson acquired the picture as a Vermeer but it was gradually removed from the artist’s accepted oeuvre over the course of the twentieth century. The painting’s compromised condition prevents its installation and exhibition. As a result, few current specialists have actually seen it in the flesh, and it has only been reproduced with blackand-white photography. Pigment analysis also banned it from the oeuvre. An old study seemed to have identified Prussian blue, but more recently that has been dismissed as a false positive. The same study also found the presence of lead-tin yellow, so it seems that the Johnson picture was completed before 1715, making it an extremely early, and rare, variation on Vermeer. Indeed, early copies and reproductions of Vermeer paintings are rarer than are paintings by the masterhimself. I look forward to pursuing whether any further insights into the authorship of the painting can be made. 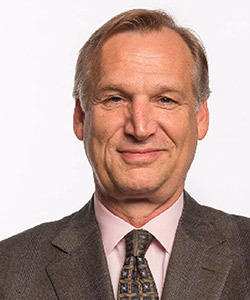 Christopher D.M. 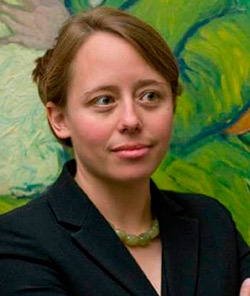 Atkins is Agnes and Jack Mulroney Associate Curator of European Painting and Sculpture before 1900 at the Philadelphia Museum of Art. He is a member of CODART, the international network for curators of art from the Low Countries. CODART website is the best guide to Dutch and Flemish art in museums worldwide. The Gloria and Jack Drosdick Curator of European Painting and Sculpture and Curator of the John G. Johnson Collection. During the presentation of the exhibition the Johnson curatorial and conservation team will be frequently available in the galleries to give talks and answer questions about the works on view. This exhibition has been made possible by The Annenberg Foundation Fund for Major Exhibitions, The Robert Montgomery Scott Endowment for Exhibitions, The Women’s Committee of the Philadelphia Museum of Art, the Kowitz Family Foundation, Friends of Heritage Preservation, Lawrence H. and Julie C. Berger, The Jill and Sheldon Bonovitz Exhibition Fund, The Harriet and Ronald Lassin Fund for Special Exhibitions, The Robert Lehman Foundation, James and Susan Pagliaro, Lyn M. Ross, Saul Ewing LLP, and Joan F. Thalheimer.